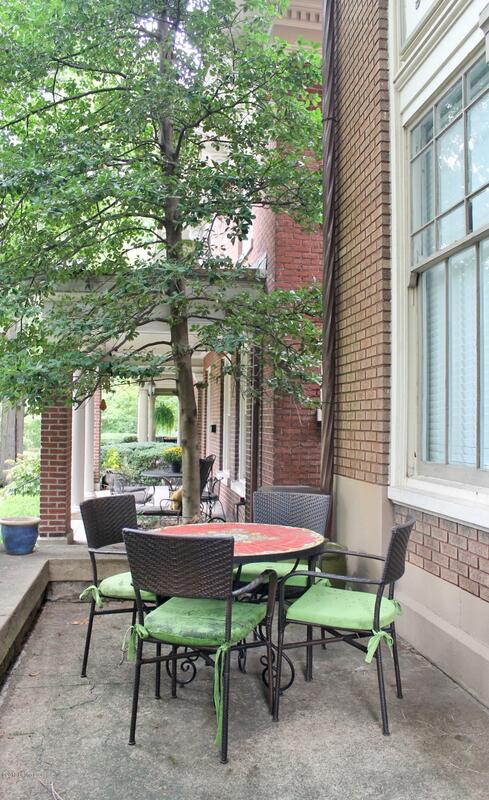 Welcome home to this stunning condominium on Saint James Court in Historic Old Louisville. This spectacular unit offers over 2400 Sq. Ft. of living space and encompasses the entire 2nd floor of the home and comes with a one car garage at the rear. 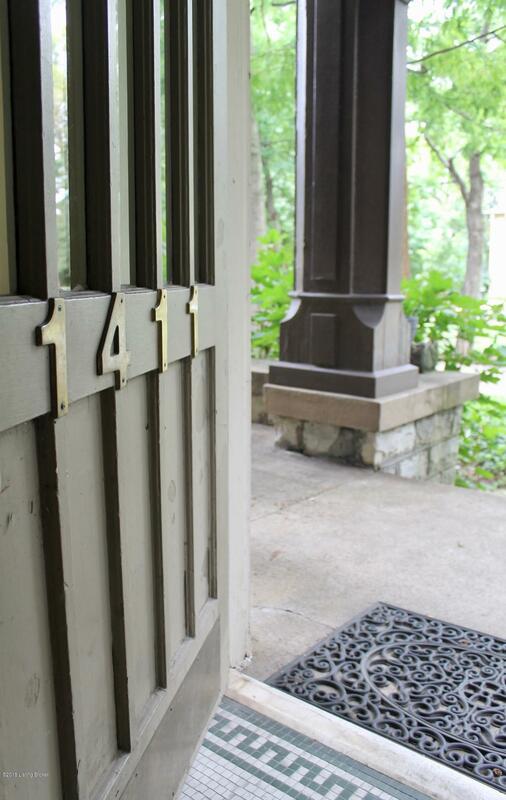 The private staircase leads you up to the units leaded glass front door and into the grand foyer. The formal living and banquet sized dining room boast gorgeous inlaid hardwood floors, beamed ceilings and extra tall custom wainscoting. The formal living room offers a gas fireplace and a door out to the private balcony which overlooks the court and gives great views of Olmsted's Central Park. The formal dining room has a beautiful curved window seat and built-in glass faced cabinetry to display your finest pieces. Between the formal diningroom and the eat-in kitchen is a delightful light filled breakfast room. The fully equipped kitchen has tile counter tops, white cabinetry and an eating area which opens to the rear covered deck making out door dining a snap. On the south side of the unit you will find 2 bedrooms, 2 full baths, a library/den with built-ins (could easily be used as a 3rd bedroom along with a sizeable laundry room. 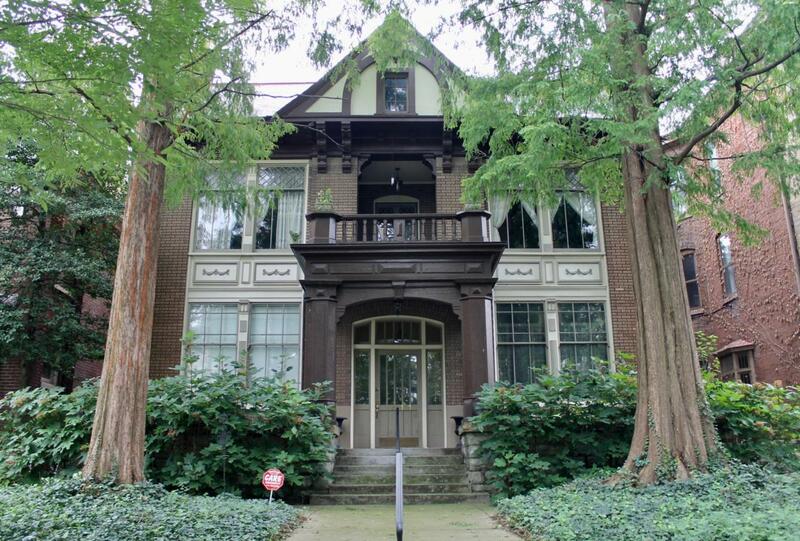 Stunning woodwork, molding, floors and vintage chandeliers are sure to please.